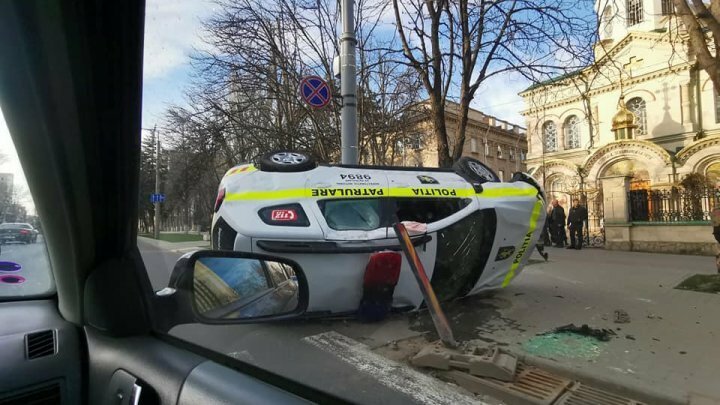 Accident on Lazo Street, intersection with Stefan cel Mare street from the Capital. A police car violently clashed with another car. From the images on a social networking site, the police car is overturned. According to police officers, the car driver who collided with the police car was responsible for the accident. They are not victims, and the patrol inspectors were overtaken on the spot. With more details, we'll come back later.